iPad makes a great table-top slideshow platform. Whoever you are, occasionally you may find yourself needing to play a slideshow loops on display for business, courseware, product shows or other social occasion. However, you can’t find a way to loop a slideshow in the iPad version. 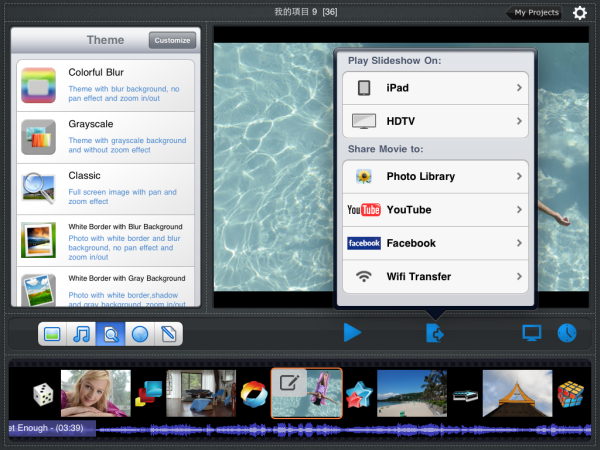 How to create a looping slideshow display on iPad? Here are some tips to get you on the road to making a professional and polished lopping slideshow with Photo Slideshow Director HD. Photo Slideshow Director HD is a HD photo slideshow app that helps you turn your photos and music into fantastic slideshows. The outstanding feature of Photo slideshow Director HD is its easy and quick action to do everything yet the output slideshow is still very attractive and different. After you easily import images into slideshow and select one or more great songs to be the background music or choose the lovely slideshow theme and dramatic transition, this slideshow you have prepared. 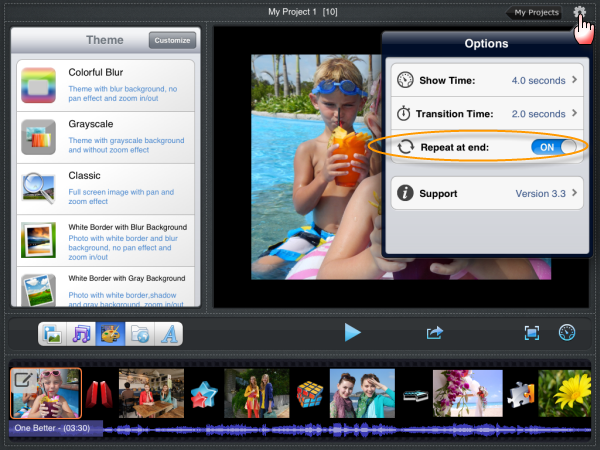 Now, to create a looping slideshow you just need a simple step. Tap the “Setting” option on the upper right hand corner of the screen then you will see a switch named “Repeat at the end”. Move right until it turns to “On” so the slideshow will repeat at the end. Finally, you can play the looping slideshow on HDTV or upload to YouTube, Facebook directly or transfer it to your desk PC if the iPad has WiFi connection.